New Delhi: Delhi Metro Rail Corporation (DMRC) has decided to extend the high-speed airport express line to Dwarka Sector 25. DMRC will construct Underground Metro in Dwarka area. Presently metro services available on this route from New Delhi Metro station to Dwarka Sector 21. One advantage of extension of this route upto Dwarka Sector 25 will also be that the Metro will reach the Convention Center (ECC) too. According to DMRC spokesperson, the length of the proposed extension will be 1.7 kilometers. Underground station will be built in ECC compax, as well as Subway will also be made in ‘cut and cover’ method. The center has approved the Detailed Project Report of the proposed extension. The cost of proposed project will be Rs.310 crores and the project is expected to complete in the next two and half years. 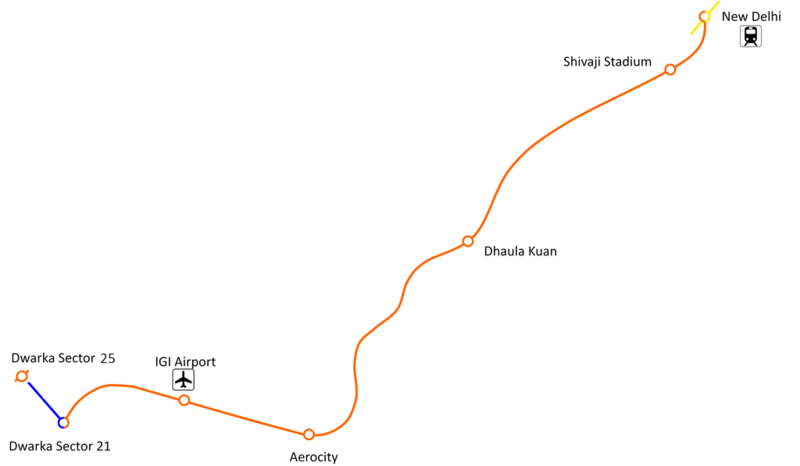 There are four stations in Delhi Metro airport express line connecting New Delhi Railway station to Dwarka Sector 21 via Shivaji Stadium, Dhaula Kuan, Delhi Aerocity and IGI Airport (Terminal 3).